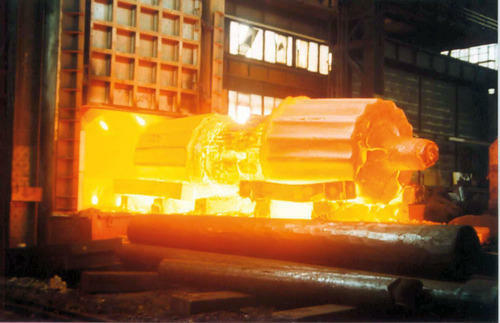 Backed by a team of creative and skilled designers, we are highly engaged in manufacturing of Forging Furnace. J. R. Furnace & Ovens Pvt Ltd.
Incepted in the Year 1987, we, "J. R. Furnace & Ovens (P) Ltd." is one of the leading manufacturers and wholesalers of premium quality Industrial Furnace and Ovens. Our product range includes Atmosphere Controlled Furnace, Continuous Furnace, and Batch Furnace. Our manufactured products are high demand, owing to their superior quality and long lasting life. These products are fabricated in our state of the art and ultra modern manufacturing unit by taking optimum quality raw material given by the trusted and certified vendors of the market. To meet the precise demands of our clients, we are offering these products as per their detailed specifications. Moreover, within a short period of time, we have repudiated position in this market. The company has a state-of-the-art and well-equipped infrastructural unit that covers a vast area of space and is installed all progressive machines and tools. The infrastructure of the company is parted into various productive units like the quality testing unit, R&D, and warehousing, manufacturing unit and packaging department. Further, to assure superior quality of our products, all the phases of production from manufacturing to shipment are strictly supervised by our well-qualified quality experts. In addition with this, we are offering these products at leading market price.